A random search yielded this week’s image and the recommended song arrangement provided in Make Your Own Tracks. Both were found on a homeschool mom’s blog. Click the photo to visit her site. she-cub69: So this is why you often don’t answer “why”? For even if you tried to explain, in ignorance we might conclude that your desired outcome is not worth the cost of the plan to achieve it? *Lyrics from “Hosanna,” Beyond Imagination, a youth song collection. Additional reference information to be added, as possible. Copyright © 2014. The Literate Lyoness. Make your own tracks…A modern arrangement of “Little Drummer Boy” by Pentatonix can be experienced on YouTube. 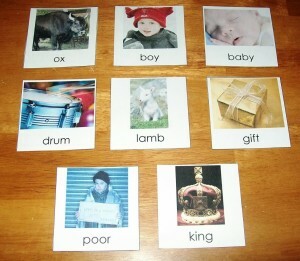 According to the lyrics of the song, what did the young musician learn about bringing gifts to a king? If you prefer a retro arrangement, check out “Little Drummer Boy,” by 4Him, Season of Love, 1993. This entry was posted in Amplified Echoes, Random Roars. Bookmark the permalink. I cannot quite see; is that LoJaOmega? Great! I just wasn’t tracking! Molecular Magic or Deus Ex Machina? Extreme Origin or Extreme Originality?